When the Massachusetts Convention gathered in early January 1788 to consider ratification of the Constitution, the state faced three hurdles to ratification. First, the lingering suspicion and distrust of a central government from the western part of the State where just two years before, Shay’s Rebellion had shaken the nation. The western part of the State saw the Constitution as little more than a larger form of the same government that had suppressed their rights and demanded their hard currency be turned over, and strongly objected to the idea that Congress would be able to tax and that only gold and silver could be used to pay debts. The Second problem was Maine. At the time, Maine was part of Massachusetts, and because of its physical separation, Maine had often felt both neglected and treated as second class by the Boston mercantile class. Furthermore, Maine had staunch loyalist leanings during both the Revolutionary War. It would support the British again during the War of 1812. It was assumed by most people that Maine wanted to separate from Massachusetts, but that the proposed Constitution made it virtually impossible to do so since Massachusetts would have to give its consent to do so. But like many assumptions about both the people and the Constitution, this turned out to be the least of the Federalist’s worries. 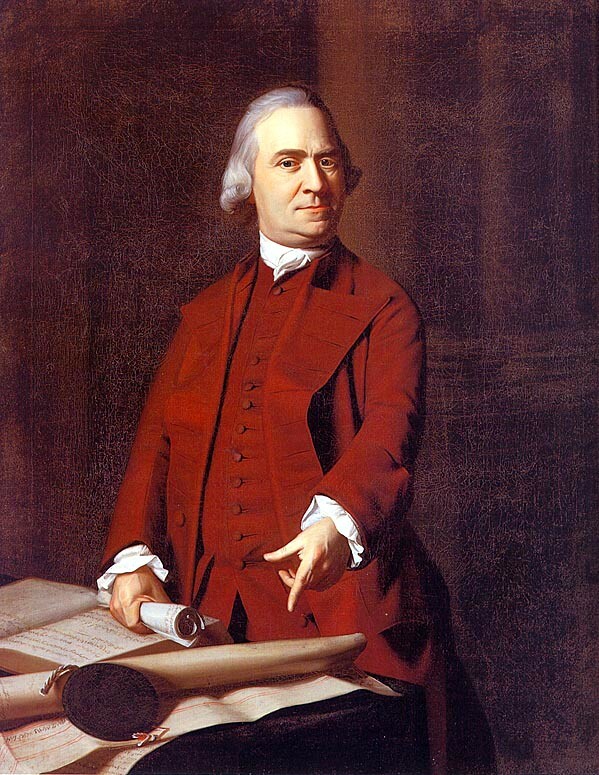 The third, and potentially the greatest hurdle to Massachusetts ratification was Sam Adams. He had made it clear that he saw in the Constitution, not a protection of the sovereignty of the States in a federal union, but instead, a national government, which he was certain would crush the rights so recently and so difficultly won. Despite his “open-mouthed” opposition to the Constitution, he was elected as a delegate by Boston, which supported the ratification.